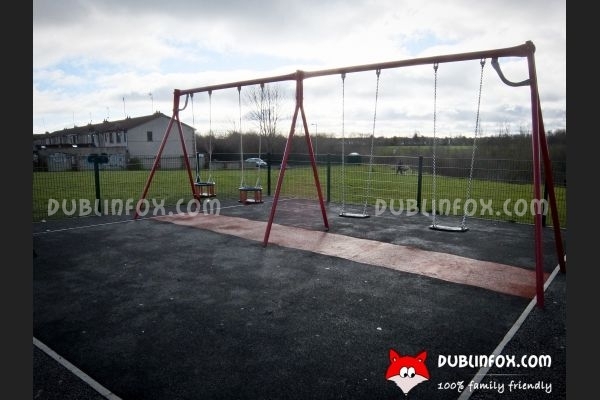 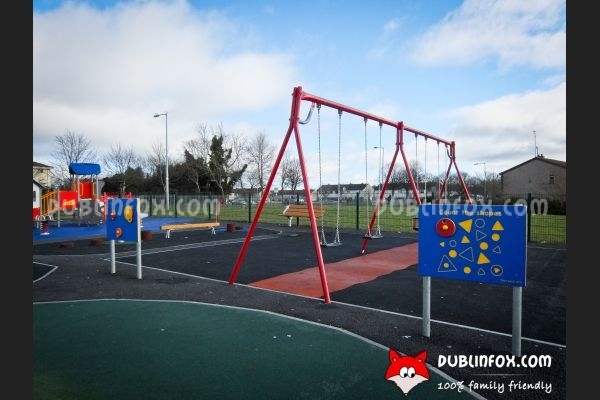 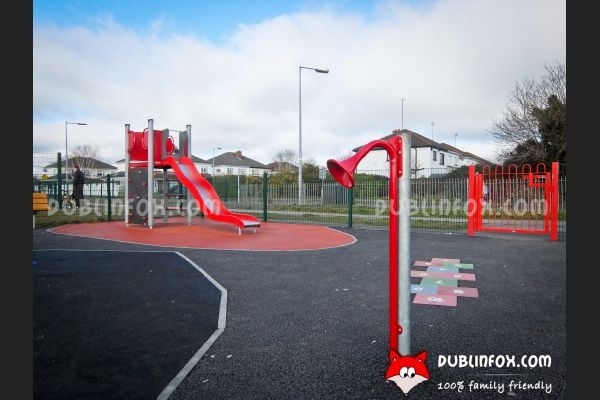 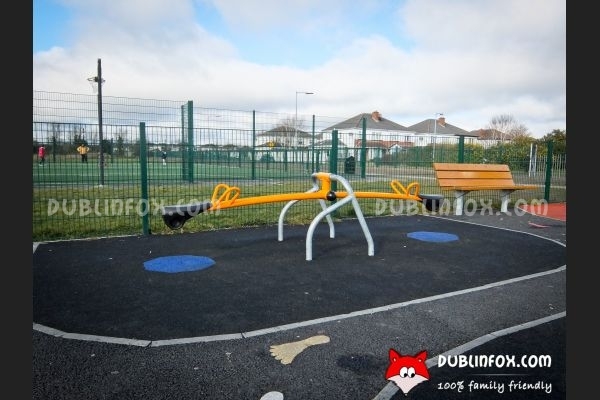 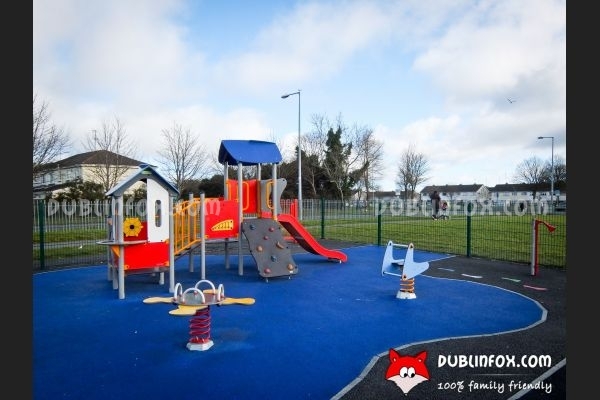 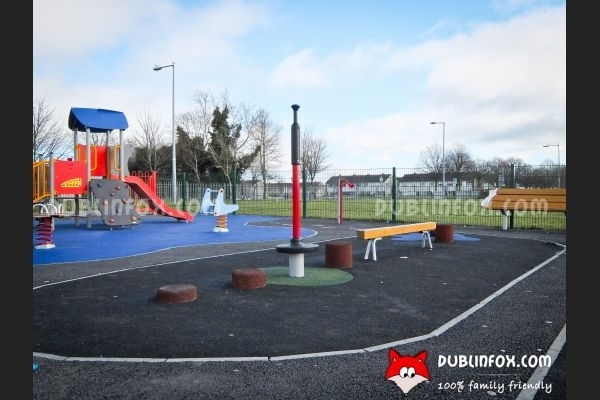 The playground in Swords Manor seems to be the biggest one in Swords. 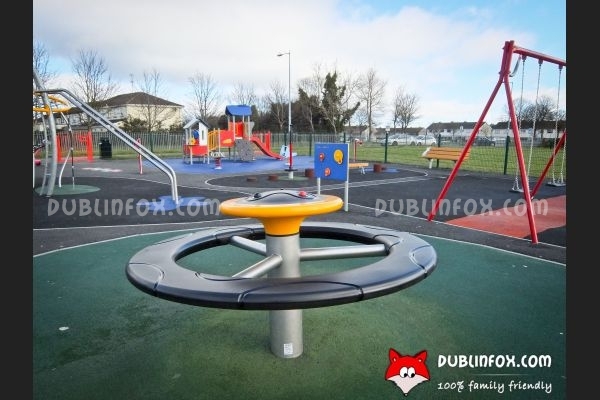 It is full of playing equipment helping kids to burn off their energy. 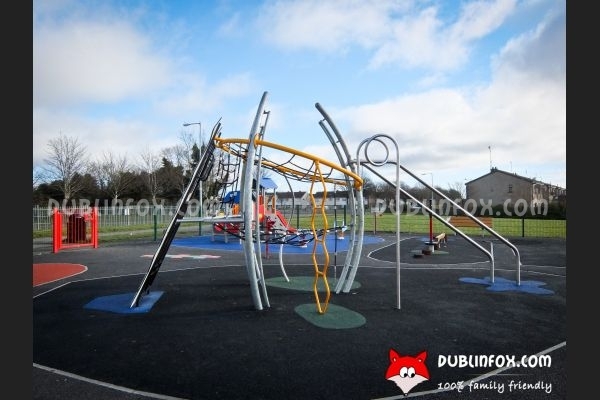 The smaller multi-play unit with the slide is safe for toddlers, who might opt for the baby swings, the springers, the roundabout swing and the see-saw as well, whereas slightly older kids will love the balancing unit, the multi-play unit, the climbing structures and the swings, too. 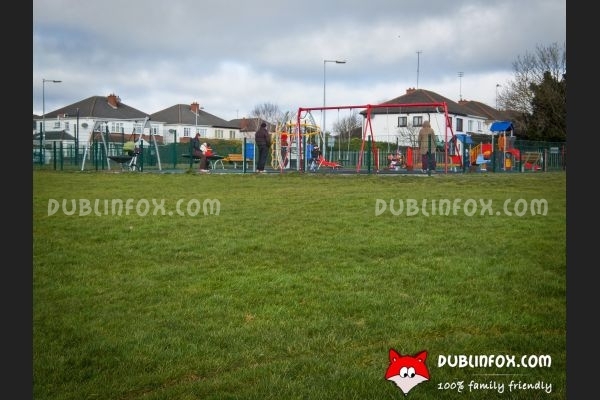 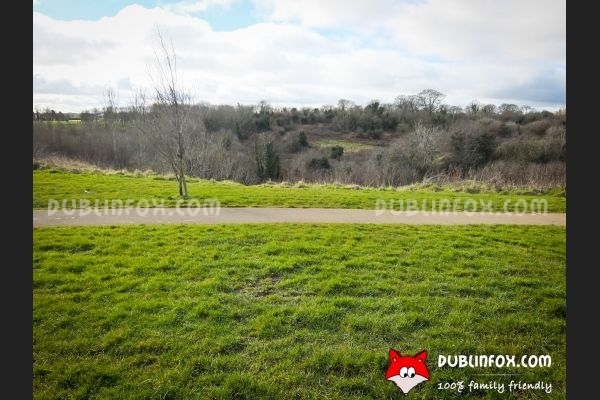 The playground is surrounded by a lovely gigantic grassy park (Ward River Valley Park), so having a picnic or flying a kite is always a good option to complete a nice family outing on a sunny day.